The archive's meta information is damaged or missing. 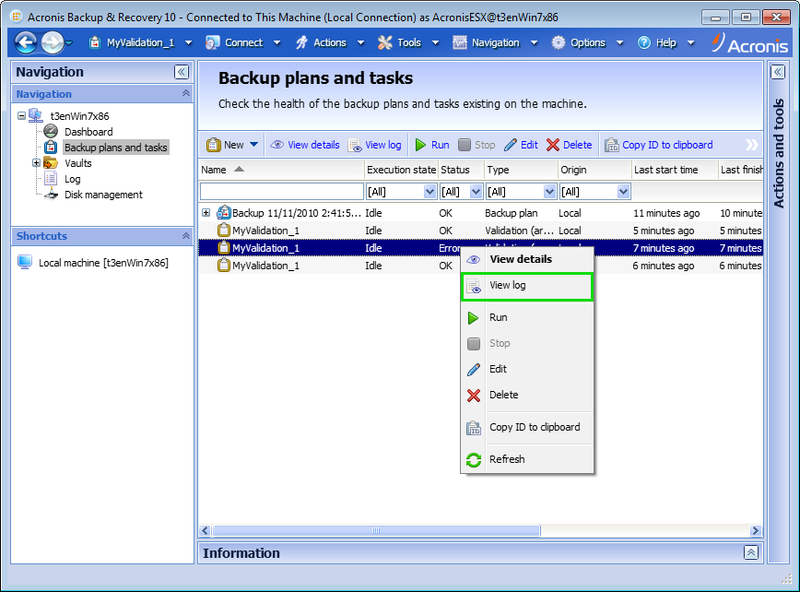 See also Acronis Backup & Recovery 10: Deleting the ".meta" Folder Is Not Recommended. 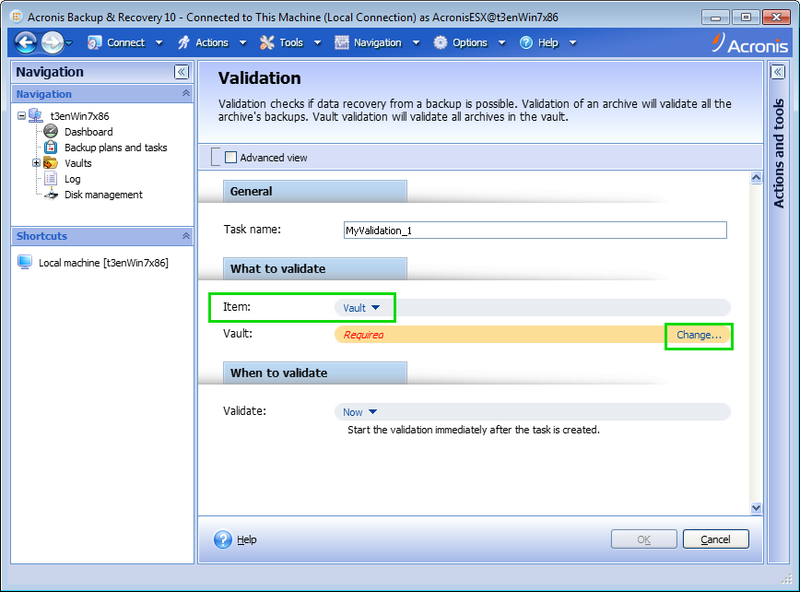 Run the vault validation. The meta information will be recreated. 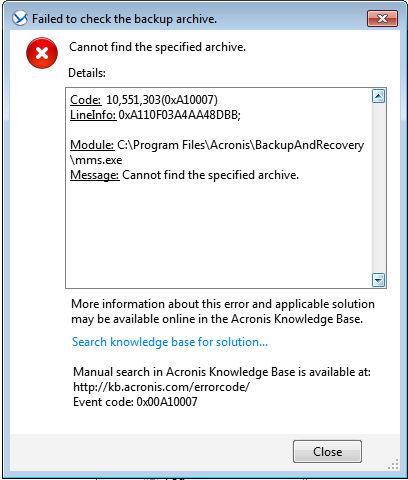 Error Message: Cannot find the specified archive. 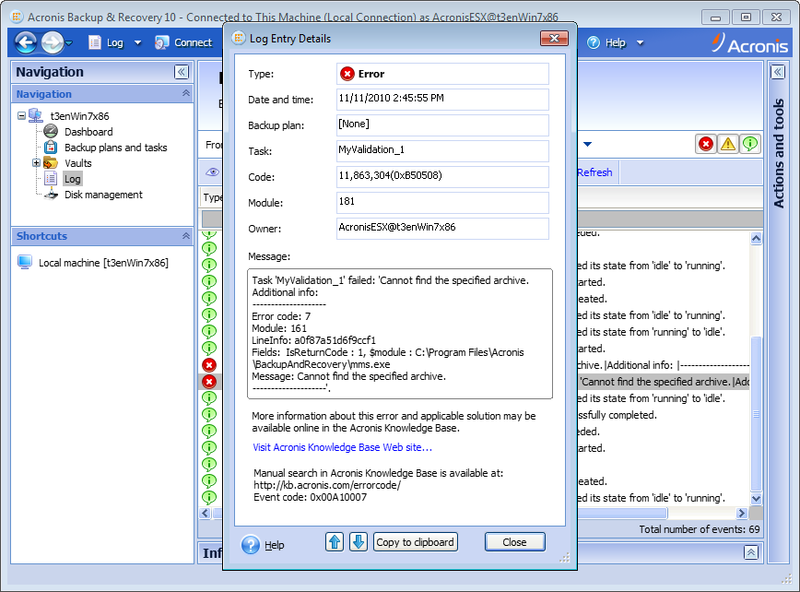 The metadata file of your archive is missing or corrupted. 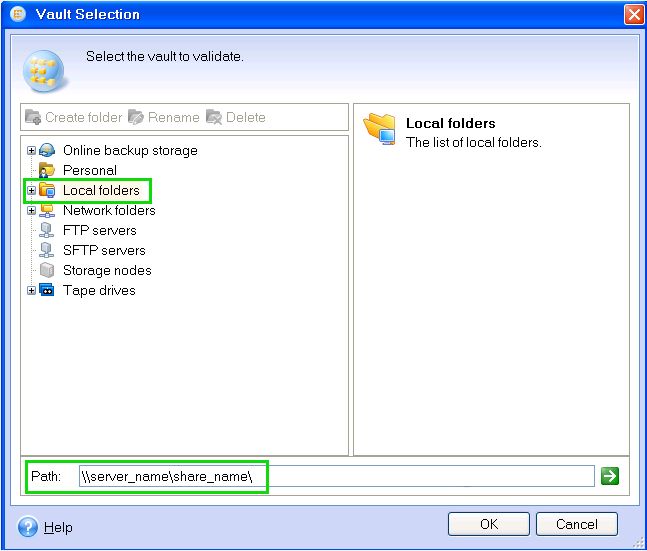 Locate *.xml file, which name starts with your archive name (e.g., Archive(1).xml). If this file exists, your metadata is corrupted. Please delete this file. If such file does not exist, your metadata is missing. 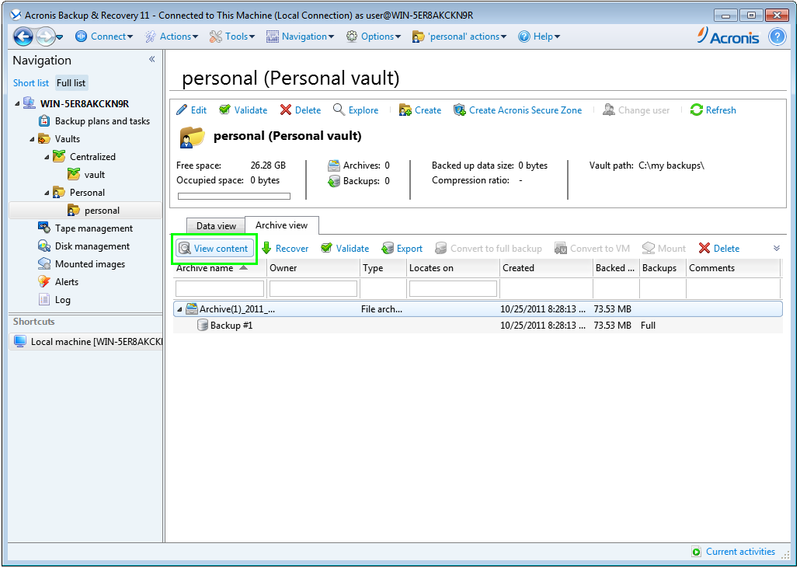 Then click Refresh button in your personal vault in console. This will recreate a metadata file for your archive. 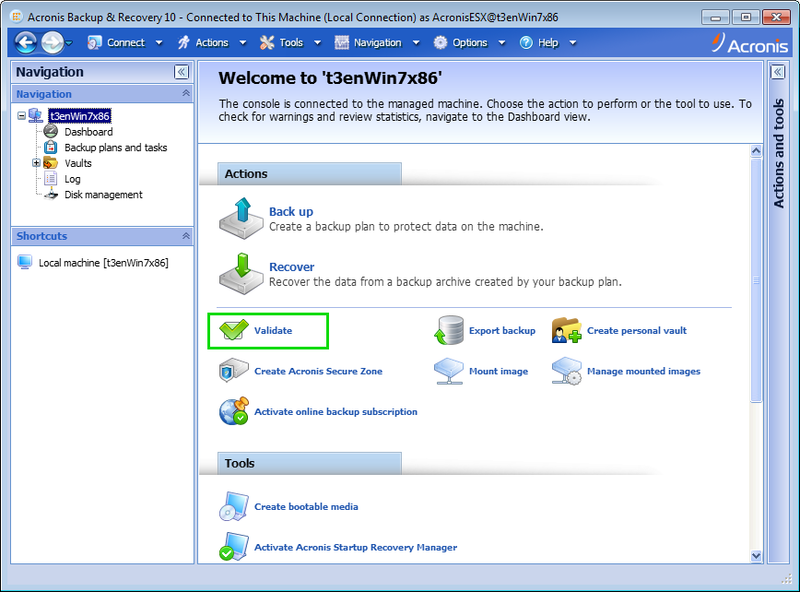 See also Acronis Backup & Recovery 10: Deleting the ".meta" Folder Is Not Recommended. 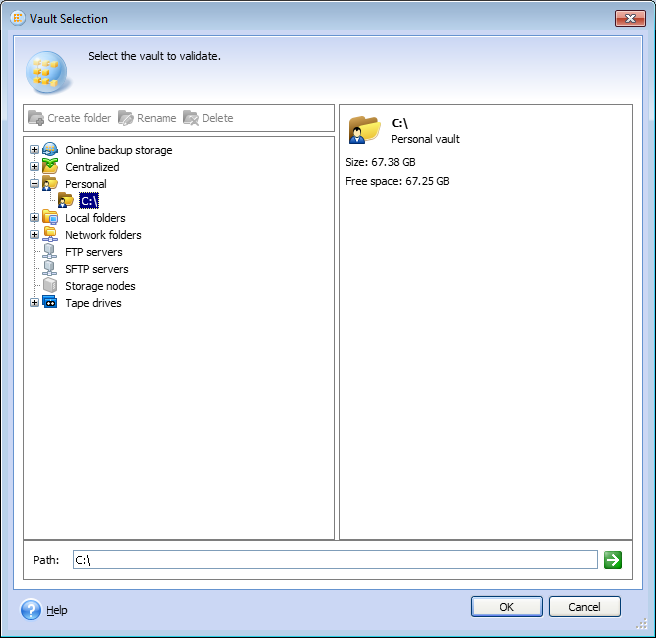 If the vault does not automatically show up under Personal or Centralized, please browse to it from the Acronis Management Console through the Local folders or Network folders branches.